Would you like to practice and improve your bike mechanic skills? Sharing Wheels Community Bike Shop is starting a series of Sunday work parties for volunteers to learn bike maintenance while helping to refurbish donated bicycles. The first work party and training is 11 a.m. to 3 p.m. Sunday, Feb. 17. Volunteers will get oriented and give input on best times for future class sessions to complement the work parties. Pizza will be provided. Attendees should have basic bike knowledge – such as fixing flats and lubing chains, or past experience helping with our kids bike programs. 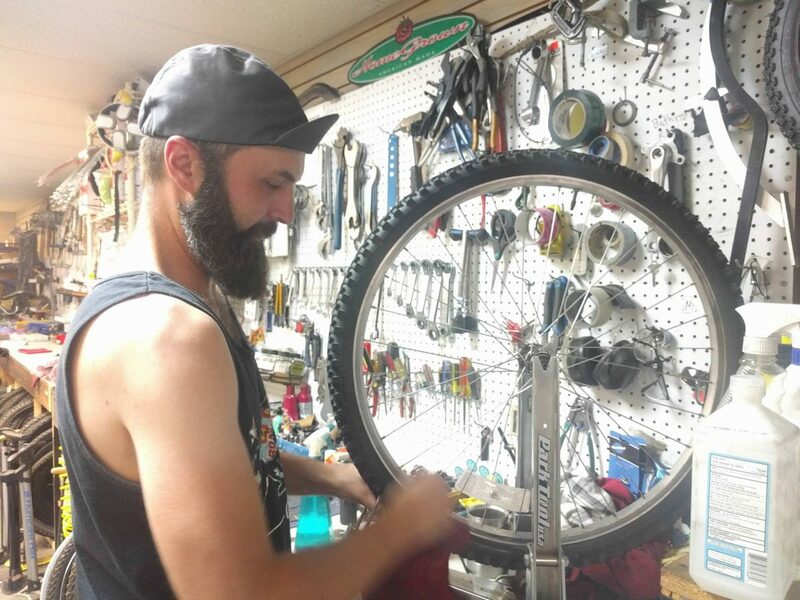 More experienced home and shop bike mechanics are also encouraged to attend – to learn more or help teach others. Each session will cover a new bike maintenance skill which will be practiced while fixing up Sharing Wheels bicycles. Ultimately, volunteers who attend all sessions will receive training equivalent to an advanced mechanics class – a $100 value. Space is limited, so volunteers are asked to sign up in advance on the Sharing Wheels website. Additional adult bike work parties are scheduled for Sundays, Feb. 24 through March 24, except no work party March 10. Volunteers who put in at least 10 hours will be invited to a special Advanced Mechanics course in April. Space is limited, so advance signup is required. Previous Previous post: Classes wrench in the New Year! Classes wrench in the New Year!